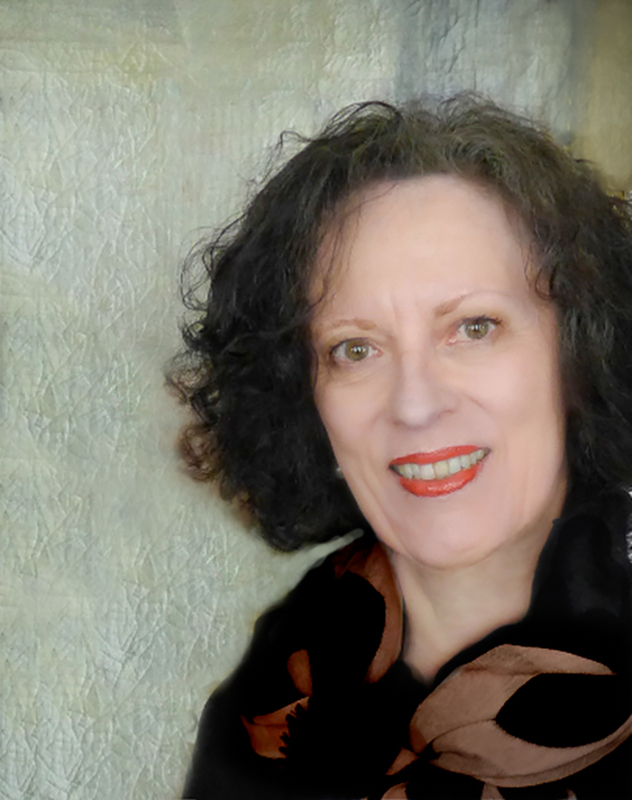 Sally Yerkovich is an internationally known speaker, educator and museum leader. She is director of the Institute of Museum Ethics and adjunct professor in the Museum Professions Program at Seton Hall University. She also teaches in the Museum Anthropology Program at Columbia University and Bank Street Graduate School’s Leadership in Museum Education Program. A member of the Ethics Committee for the International Council of Museums (ICOM), she worked extensively with museums in Central and Eastern Europe as President of the Fund for Arts and Culture, an all-volunteer organization that helped promote the development of civil society by sharing best practices with cultural organizations in former Soviet-bloc countries. Sally is also on the AASLH Ethics and Professional Standards Committee and served as Chair of the American Alliance of Museums Task Force on the Direct Care of Collections. Her work, which draws upon her experience in museums and nonprofit cultural organizations, is increasingly engaged with how museums will face the ethical challenges of the future. How did you become interested in museum work? My route to museums was circuitous. When I was growing up in Portland, Oregon, I was really not a great fan of museums. I found art museums intimidating. They were grand in scale, not particularly welcoming in manner and they seemed to expect me to bring an understanding of the art with me. I was drawn more to science and history museums as well as to zoos. They seemed more approachable and had a more direct relationship to my life and experiences. After I graduated from college, I worked for a program that helped high school students without financial or social advantages gain the necessary skills and knowledge of the humanities so that they could be admitted to college. I also spent a month in West Africa -- Southwestern Nigeria to be precise. There I was immersed in Yoruba culture and society and came to a new understanding of cultural difference. Each of these experiences had a profound impact on my thinking and led me to want to create opportunities for learning for people without the advantages of higher education. I didn’t know how I would do that but I knew my next step should be getting a graduate degree in cultural anthropology. After I finished my PhD in Folklore and Folklife/cultural anthropology at the University of Pennsylvania (my dissertation was an ethnolinguistic study of gossiping), I taught briefly at the University of Florida in Gainesville. There I visited the natural history museum often and saw exhibitions that made cultural difference understandable. These exhibitions did what I had always wanted to do – create bridges to understanding between and among cultural groups and provide entry points for those who want to learn but have not had educational advantages. It was a short hop from there to working at the National Endowment for the Arts and then the National Endowment for the Humanities where I came to understand that museums could be venues for the kinds of learning experiences I was interested in creating. How did you originally get involved with the Institute of Museum Ethics? After working in museums for about twenty years, I heard about the Institute of Museum Ethics at Seton Hall University. Its founding director had just moved to England and the Institute needed a director. Ethics had always been a concern for me from the time of my graduate work, through my years at NEA and NEH where I helped create guidelines for working with Native American groups, to working in museums in New York and New Jersey. After I started working with the Institute, I realized that as museum professionals, we are confronted with ethical issues on a regular basis and we quickly internalize the values that guide our decisions and resolutions of dilemmas. Nonetheless, we seldom talk about ethics except when a controversy or scandal arises. I felt that the Institute could become a venue where conversations about ethics could happen absent a crisis situation and where we could come to understand better the ethical principles that underpin our work. At about this same time, the controversy over the National Portrait Gallery exhibition Hide/Seek: Difference and Desire in American Portraiture arose. The Institute created a very successful day-long conversation about the controversy that demonstrated how constructive and instructive conversations could be build around contentious situations. All of this, then, led me to develop courses on ethics in museums that I now teach at Seton Hall in the M.A. in Museum Professions Program, Columbia University in the Museum Anthropology M.A. Program, and Bank Street College of Education in the Museum Leadership Program. I’m also developing an online introductory course on ethics for Museum Study. All of these courses are great fun and often take advantage of the resources of the Institute. Can you talk a little about your new book? A Practical Guide to Museum Ethics grew out of my interest in creating conversations about ethics. It is a very practical guide to thinking about the ethical dilemmas that arise in all areas of museum work – from governance and management to collections care, cultural heritage and accessibility. Through a discussion of the relevant codes of ethics and then the posing of a number of hypothetical (and not so hypothetical) situations, it is designed to help museum professionals think through the dilemmas that they may face in their daily museum lives. The hypotheticals can be used as conversation starters regarding some of the most prevalent ethical issues in museums. What is the most interesting response you’ve had when you’ve talked about your book to people not involved with museums? “Museum ethics? What’s that?” or “Do museums have ethics?” Even though people read about ethical issues in museums regularly in the newspapers – articles about deaccessioning, fund raising, possible board members’ conflicts of interest and the like – they don’t always think of these as ethical issues and don’t understand the reasons that these things can be problematic for museums. For these people, I would hope my book would be an introduction to the principles that underlie work in museums. What are some of your favorite online (or offline!) resources for people interested in finding out more about Museum Ethics? Of course, I need to start with the Institute of Museum Ethics own website. We have a news feed on the website as well as resource lists pointing to documents and websites that provide codes of ethics for all the different aspects of work related to museums. On Twitter -- @museumethics – we also keep up with news and with developments in the field that relate to ethics. There is also a new website for my book. For people working in or with museums in the U.S., the American Alliance of Museums Code of Ethics for Museums is a good starting point. The AAM website also has important supplementary information concerning field-wide standards and best practices that can provide guidance. The American Association for State and Local History and the Association of Art Museum Directors have similar resource banks that are excellent. There are a number of blogs that often focus upon ethical issues in museums. CultureGrrl is the first that comes to mind. Whether you agree with Lee Rosenbaum or not, you can bet that she will highlight the ethical issues of the day. I’m also a great fan of the Anonymous Swiss Collector blog as well as Cultural Assets, attorney Kevin P. Ray’s occasional legal analysis and commentary on art and cultural property. Finally, speaking of things legal – my starting point in thinking about any legal or ethical question related to museums is always Marie Malaro and Ildiko Pogany DeAngelis’ A Legal Primer on Managing Museum Collections. It never ceases to provide lucid thinking on many issues that are critical to museum governance and management. What advice would you have for museum professionals, especially those from smaller museums, in making sure their exhibitions and programs manifest in ethical ways? The key word for creating exhibitions and programs is integrity. If your work is based in sound, balanced research and you have consulted with and listened carefully to other experts, whether they are scholars or members of the community to which your exhibition relates, you can most likely be confident that you are presenting a story to the public that you can defend and take pride in. When you are dealing with a potentially controversial topic, listening to different perspectives and including those is often really important. Also, the National Coalition Against Censorship has a publication, “Museum Best Practices for Managing Controversy” that can be very helpful. What do you think will be the most important issues for museum ethics in the future? Even in just the five or so years since we did the study, these issues have become much more critical in the field. The most difficult of them are, of course, related to money. What should the role of a donor be in creating an exhibition? Are there funders and/or potential board members whose reputations are such that it may not be wise for museums to work with them? Is it ever appropriate for a museum to cede control of the content of an exhibition or program to a donor? There are no easy answers to any of these questions and it will be increasingly important for museums to share their perspectives and experiences with one another so that the field as a whole can develop reasoned approaches to them. The bottom line, though, is and will always be maintaining the integrity of our institutions. Without that, we lose our credibility and we fail to realize our promise as public educational institutions. I dream of starting a global conversation about ethics in museums that would result in curriculum modules for museum studies programs and ongoing opportunities for museum professionals to engage in a dialogue about the kinds of ethical dilemmas they face regularly. Absent the pressure of a real problem to solve, talking about ethical issues can be engaging as well as challenging and it would be great to see this conversation become a part of life as a museum professional. Thanks again to Sally for sharing such great thoughts and information! 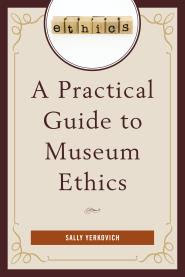 Make sure to check out the new website for Sally's book, or click here to purchase A Practical Guide to Museum Ethics directly. And now .... A CONTEST! Not already an ExhibiTricks subscriber? Just click on the "Sign up for Free ExhibiTricks Blog Updates" link at the top right side of this blog page to become a subscriber and get a chance for one of the two free books! If you're chosen as one of the winners, we'll contact you to ask for your shipping information. Good luck!